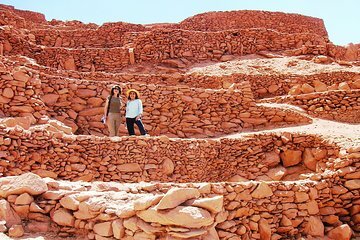 If you’re interested in ancient history, opt for an archeological tour of San Pedro de Atacama—a stress-free way to travel between dispersed desert sites. Benefit from the in-depth knowledge of your guide as you visit Pucará de Quitor and Atacama Salt Lake in air-conditioned comfort, and sample local delicacies at a family home during a stop in the village of Tulor. Hotel pickup and drop-off are included, so you won’t have to worry about finding a meeting point.